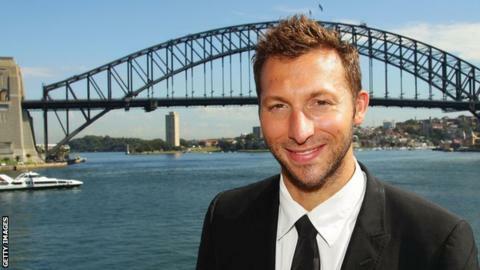 Ian Thorpe is hoping kidology can inspire Michael Phelps to get the better of Ryan Lochte at the Olympics. Phelps won a record eight swimming golds in Beijing four years ago but at last year's world championships Lochte won five titles to Phelps's four. The United States duo are set face each other in the 200m freestyle and medley. "I think Lochte looks better, but I hope that's the motivation [he] needs to win the 200 free," Thorpe told BBC Radio 5 live's Olympic All-Star Show. One of Lochte's five golds at the 2011 world championships came in the 200m, when he pipped Phelps to the title. Thorpe, 29, who has won five Olympic swimming titles, added: "Michael is someone I know. I'd prefer to see Phelps win this race than Lochte. [But] if we look at the results, just the numbers, Lochte looks better. "I think Lochte's biggest test will be the 200m freestyle. Where Michael might get him will not be as a consequence of his experience but his determination."